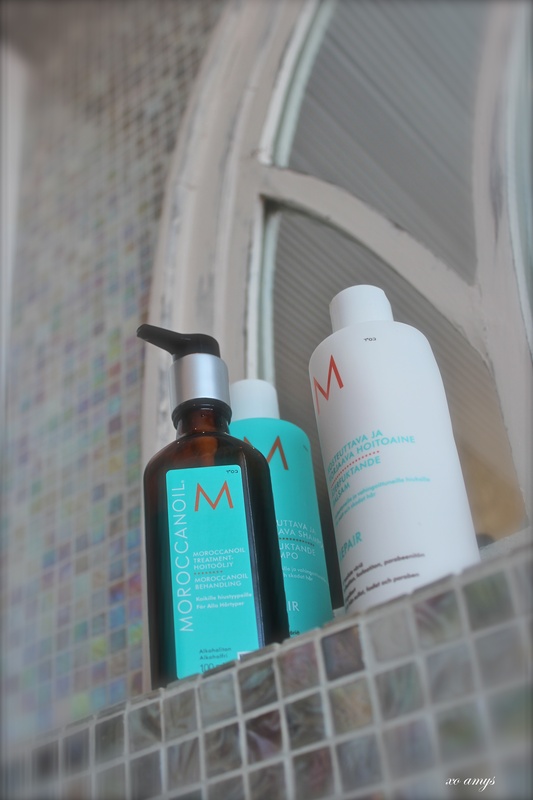 I’ve been using some of the Moroccanoil products for quite some time now and they have fast become a favourite of mine. The Morocanoil and the Restorative hair mask have been in great use and I even praised these in my previous blog, Nordic Bliss. The oil is an ultimate number one that absorbs instantly, where I’ve watched it nourish my hair and physically make it stronger. It provides proteins (fatty acids, omega-3 oils), vitamins and antioxidants for shine/protection. Also, one bottle lasts a long time, I’m still using the same one after a year! The hair mask is perfect for summer time when the hair dries as this treats brittle hair. I only use this every 2 weeks or so. So, I naturally had to try their repair shampoo and conditioner and was extremely happy with the results. They both work for hair that has been damaged by colour or heat/chemical styling. I also love these products because they are free of harsh chemicals (sulfates, phosphates) making it safer for the environment and will not affect color-treated hair. It is rich in antioxidant aragan oil, fatty acids and reconstructive keratin. I’ve personally noticed that these help restore elasticity and keeps my hair from drying making it look healthier. Ps. I have also eaten biotin (a.k.a vitamin B7) for about 2 years now as this also nourishes the hair (and nails) in several ways. It provides shine, strength, elasticity etc… My hairdresser even told me she realised a “change” in my hair and its condition. I highly recommend this vitamin to become a part of your everyday routine! 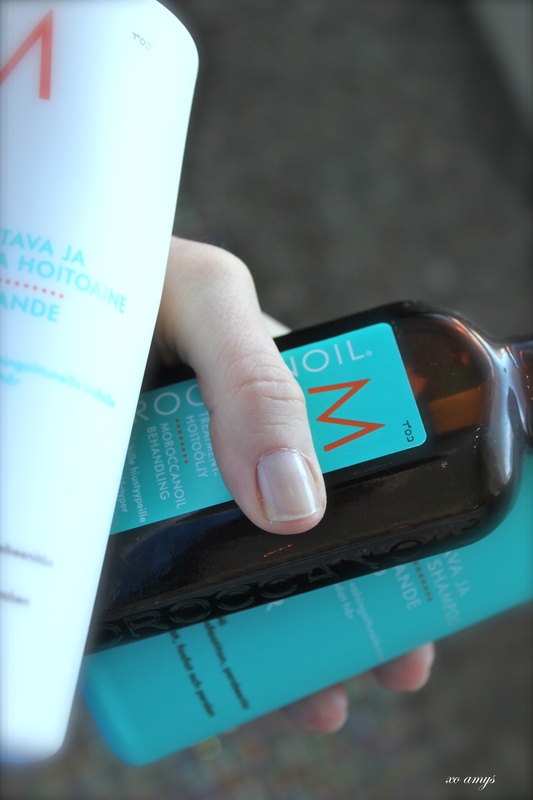 Moroccanoil is definitely one of my essentials, too! I’d recommend it to anyone, I’ve never found a better oil than moroccanoil!